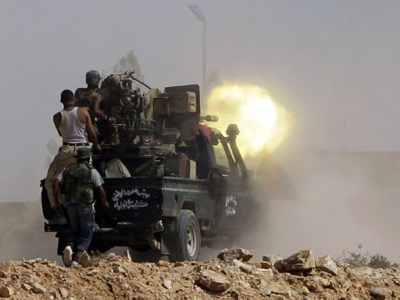 Rebels have showered Gaddafi's hometown of Sirte with rockets, trying to seize it from pro-Gaddafi forces. With refugees from Sirte telling of water shortages and restricted access to medical help, the Red Cross is worried it cannot enter the city. 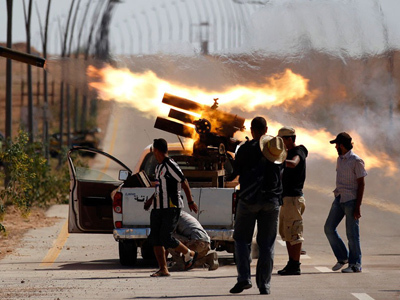 ­As the fight between the National Transitional Council’s forces and Colonel Muammar Gaddafi’s loyalists for the city of Sirte on the Libyan coastline enters a third week, thousand of civilians are streaming out of the place, trying to escape the humanitarian disaster created by the siege. 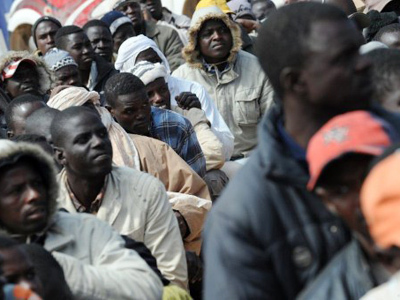 “We have heard accounts of internally displaced persons (IDP) about electricity and water being cut off and a lot of difficulties with access to food, medical supplies and health services,” said Soaade Messoudi, a spokesperson for the International Committee of the Red Cross. The Red Cross has so far failed to get security guarantees from all the parties to the conflict, stated Messoudi, so the organization is not able to enter Sirte. 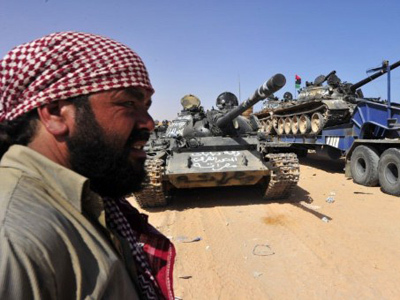 The humanitarian disaster in Sirte comes as an unspoken consequence of the international forces’ intervention in Libya, argued Rob Lyons, deputy editor of the independent online political magazine Spiked. The analyst is also worried that civilians might be prevented from leaving the besieged city as pro-Gaddafi forces may use them as human shields. On the other hand, the international community is making things worse by prolonging the conflict with the message of protecting civilians, Lyons added, as the more time passes, the more Libyans are getting injured. 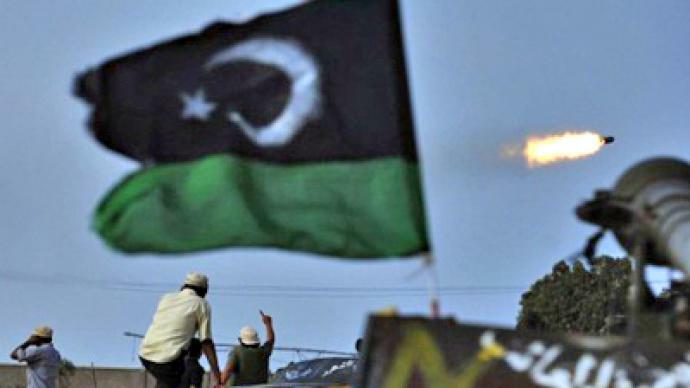 Robert Parry, a journalist at the online investigative magazine Consortium News, says that civilians who backed Colonel Muammar Gaddafi have no chance in the new Libya, because no one will protect them.